The President of the Philippines declared the month of April of every year as Filipino Food Month or Buwan ng Kalutong Pilipino. The lead Philippine agency in charge of this years celebration and every year thereafter will be the Department of Agriculture and the National Commission for Culture and the Arts. All departments, bureaus and agencies of the Philippine government, including government-owned or controlled corporation and state universities and colleges are directed and local government units and the private sector are encouraged to participate and assist in the activities of the celebration. 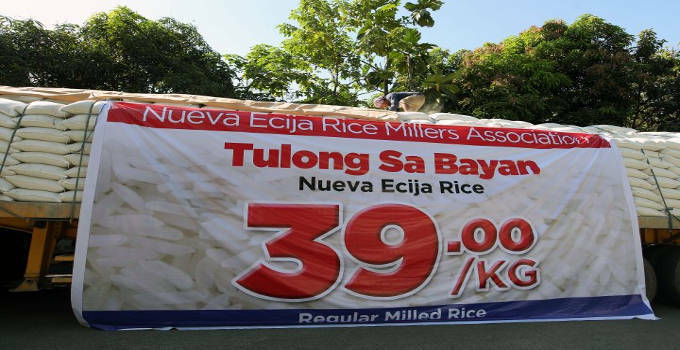 In this regard, he wants NFA accredited retailers to sell rice at 39 pesos per kilogram in the National Capital Region. stable price of rice affordable to all. Rice production has increased greatly in recent time because of the government’s effort to irrigate vast areas of agricultural land in the Philippines. The Philippines once achieved self-sufficiency in rice although short-lived a few decades ago. There is self-sufficiency in the sense that there is no need to import rice from other countries to feed the population. The Philippines despite declining production resources, declining factor productivity, deteriorating soil health, low efficiency of nitrogen fertilizers, ever-changing balance of rice and pests, aging of rice farmers, increasing cost of production, weeds and other factors or causes of low rice production, the government is doing its part in trying to raise the rice yield ceiling by introducing hybrid rice and new plant type or super rice as some experts and farmers call it. The Philippine government agency by the way, that is responsible for ensuring the food security of the Philippines and the stability of supply and price of rice is the NFA or the National Food Authority. Food Month or Buwan ng Kalutong Pilipino is a good thing.